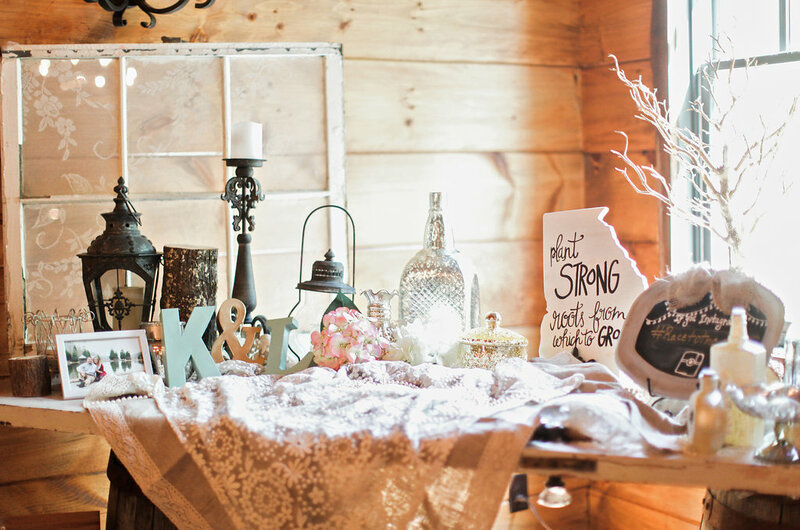 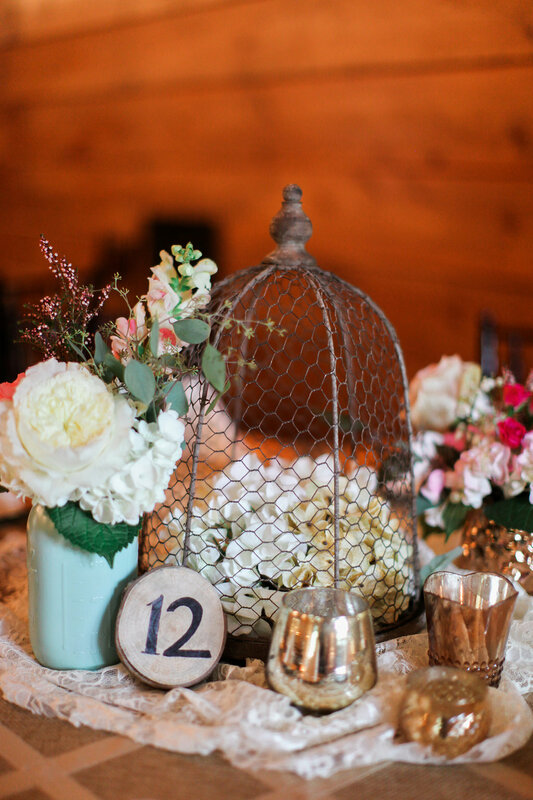 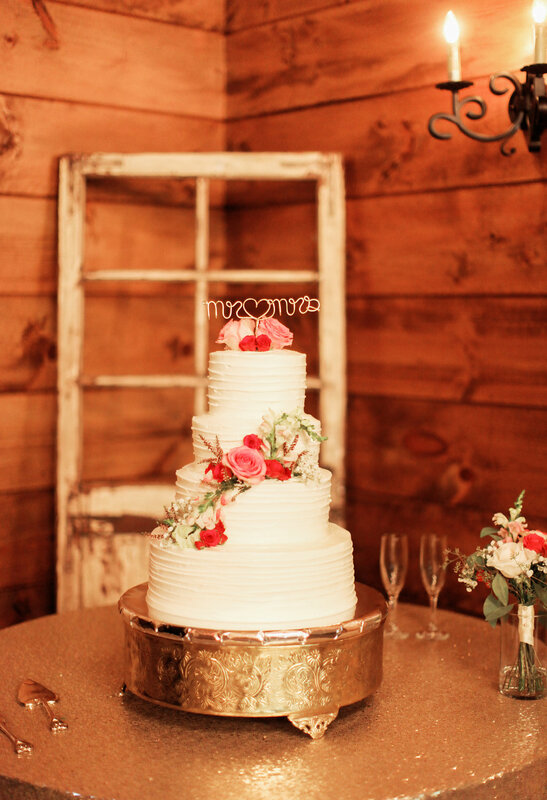 If you are looking for classic meets rustic wedding inspiration, look no further. 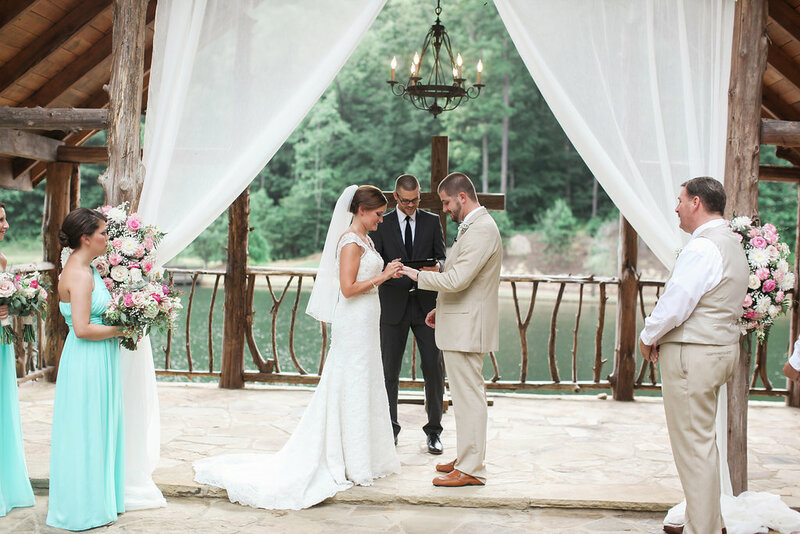 Kelly and Lewis' wedding style was anything but shabby. 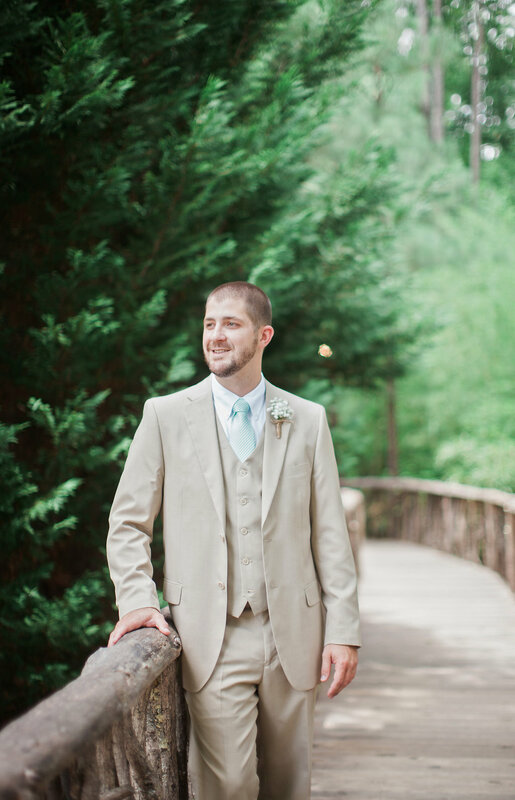 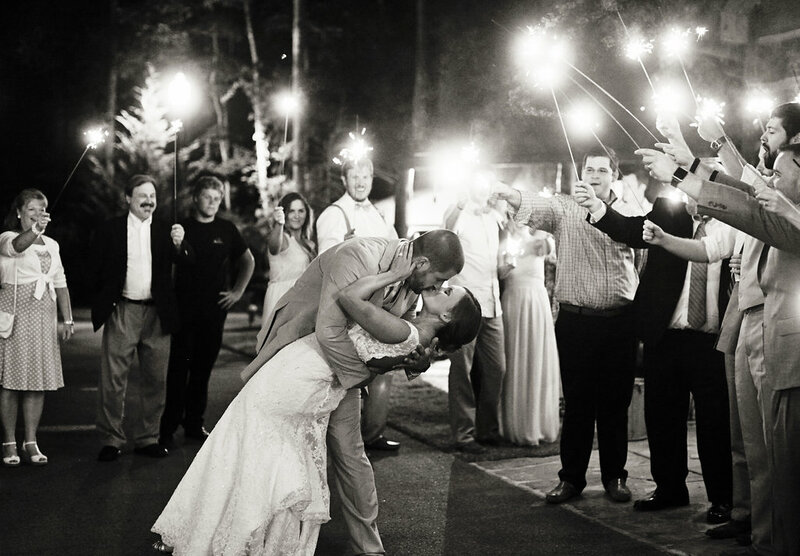 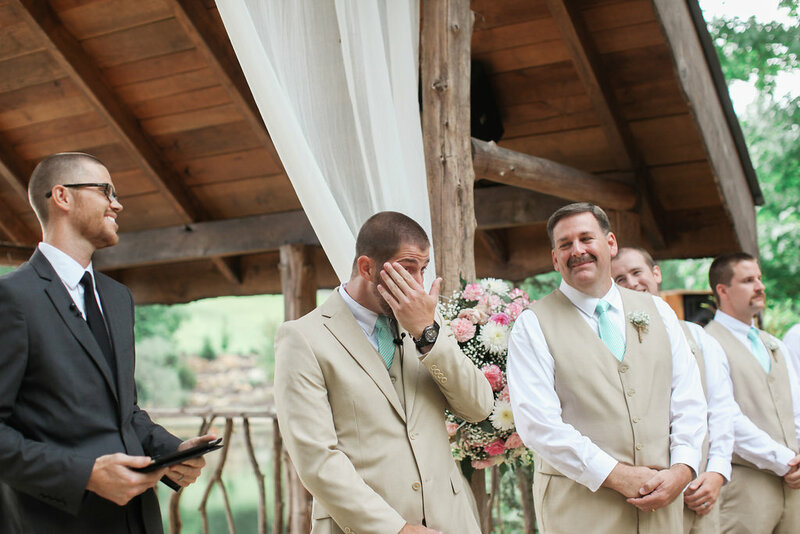 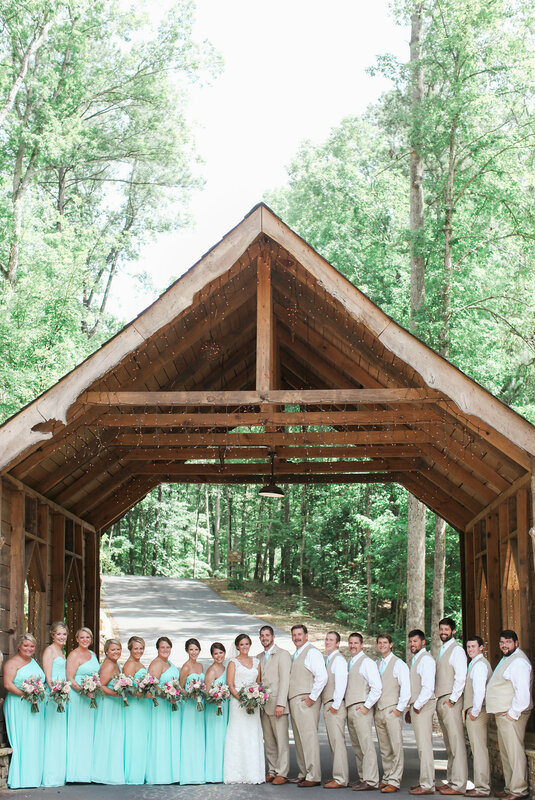 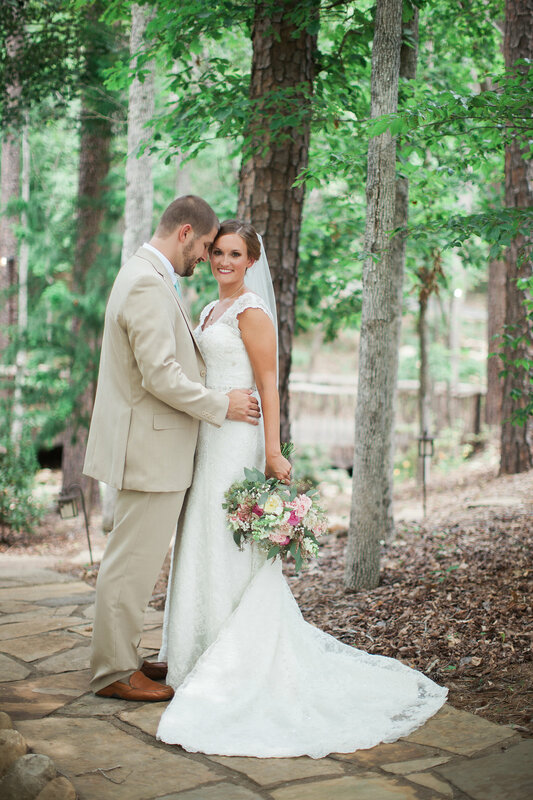 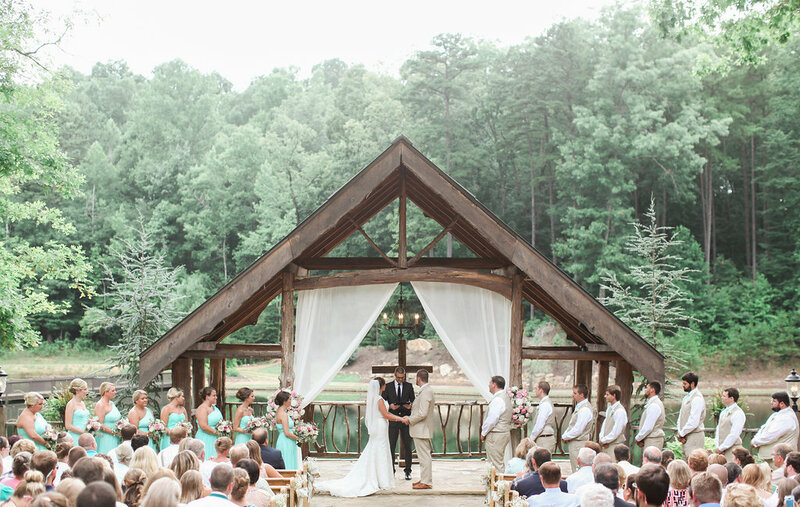 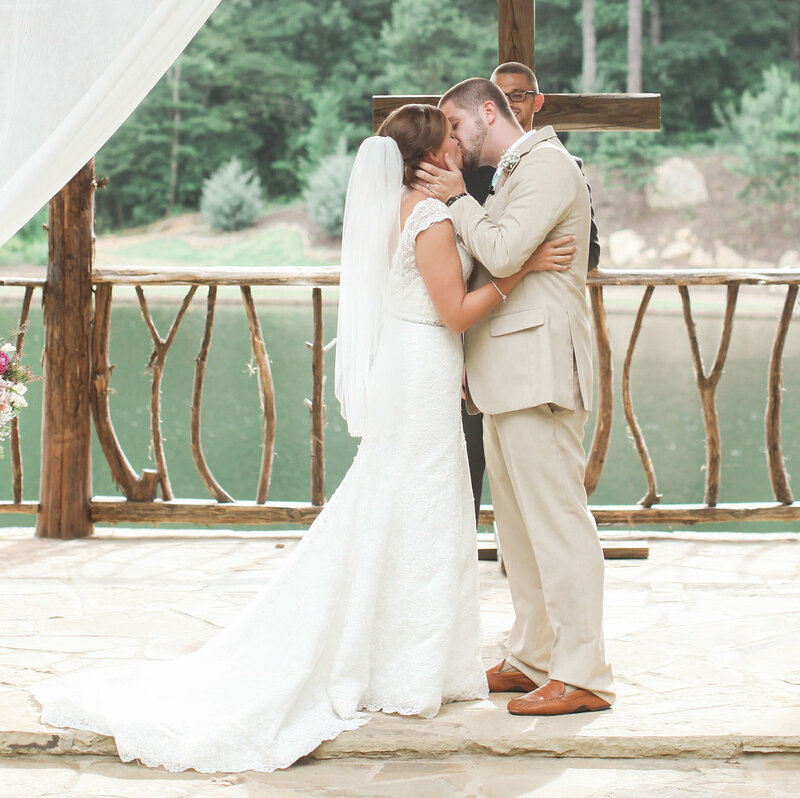 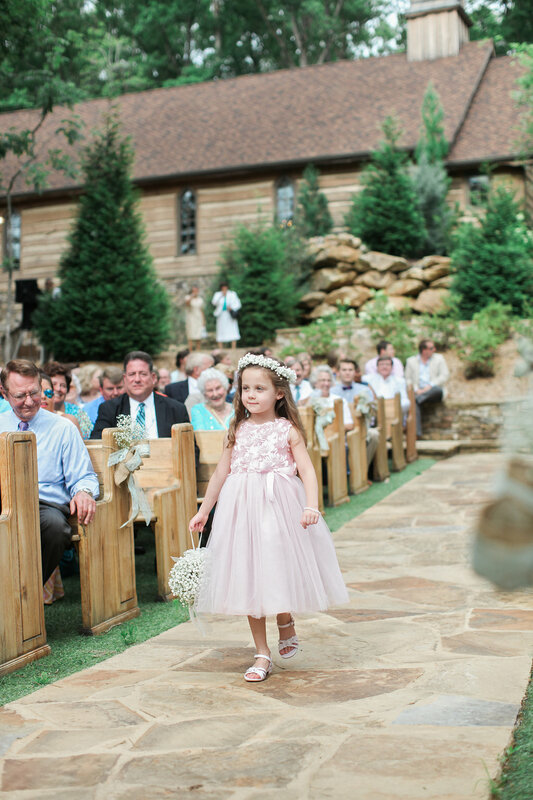 You would never guess from these images that this wedding took place just outside of Atlanta, in Dallas Georgia. 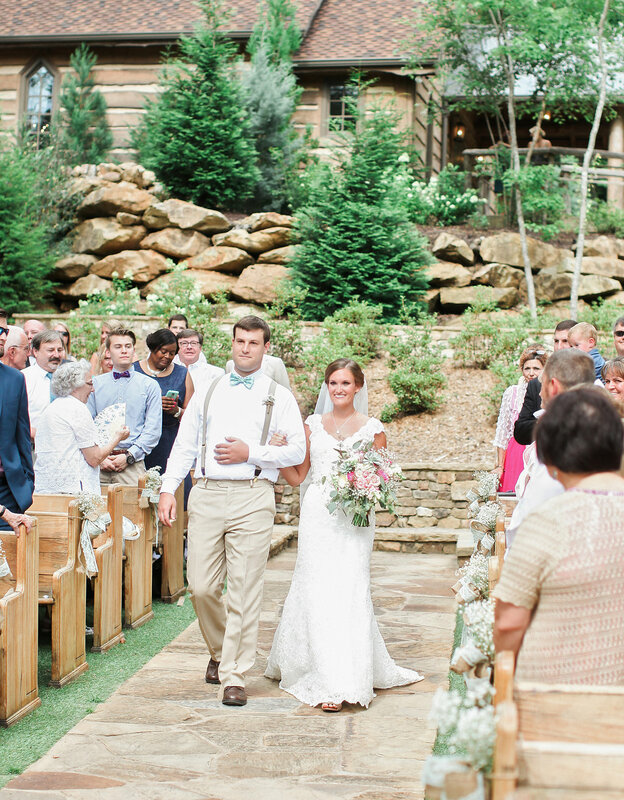 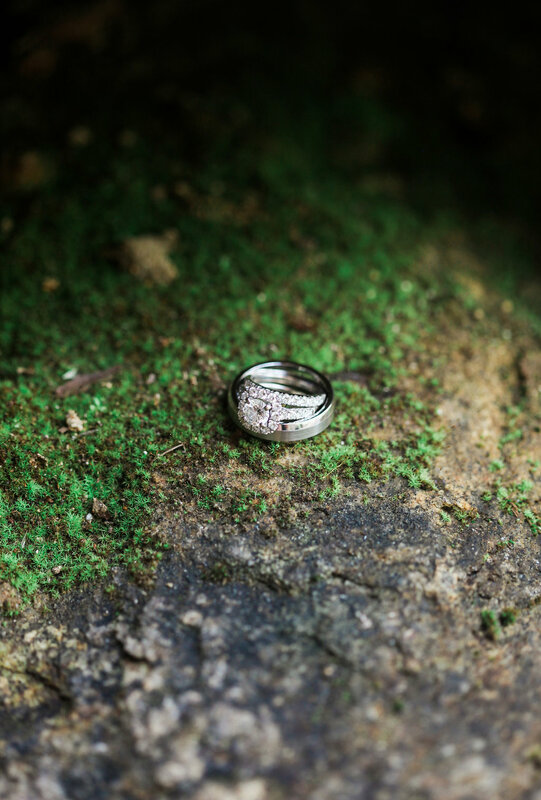 Indigo Falls itself is a venue with plenty of rustic charm. 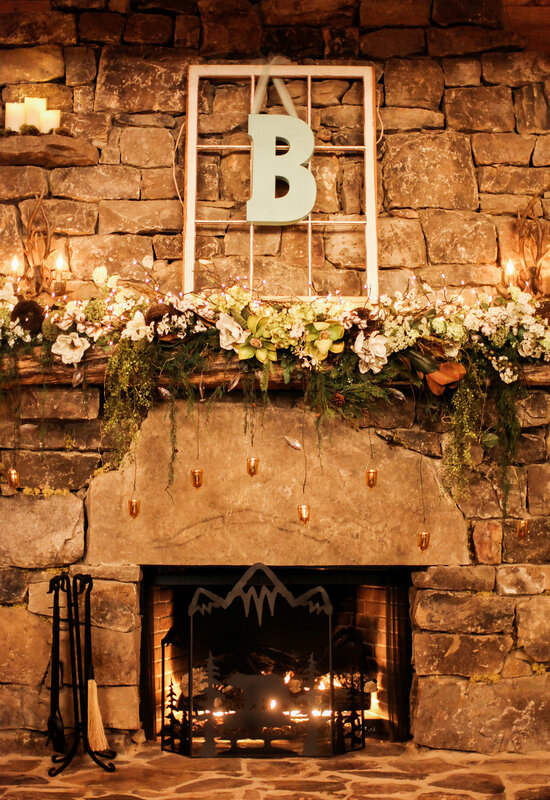 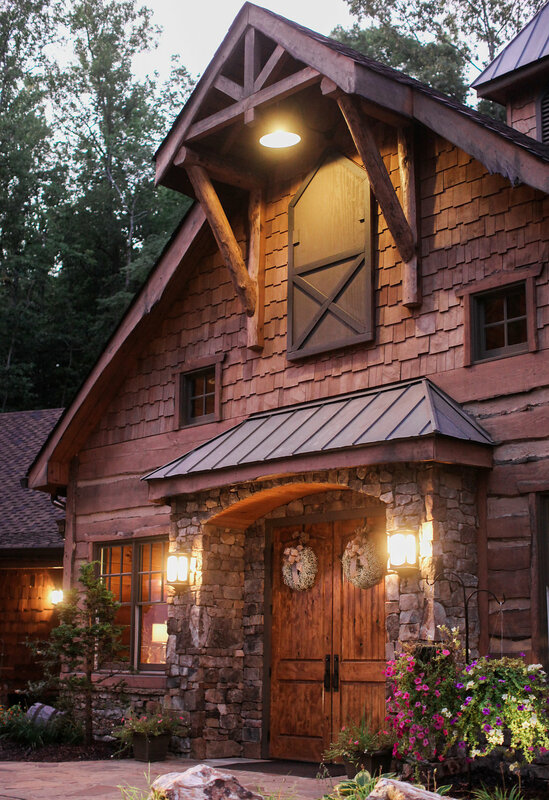 Wooden beams and a fire burning in the background lend a hand in making this a very cozy setting. 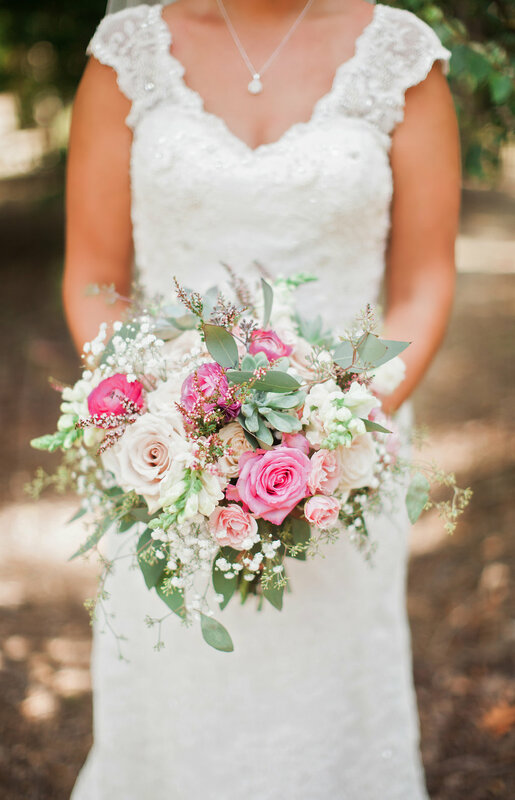 Kelly used a variety pink shades throughout the wedding. 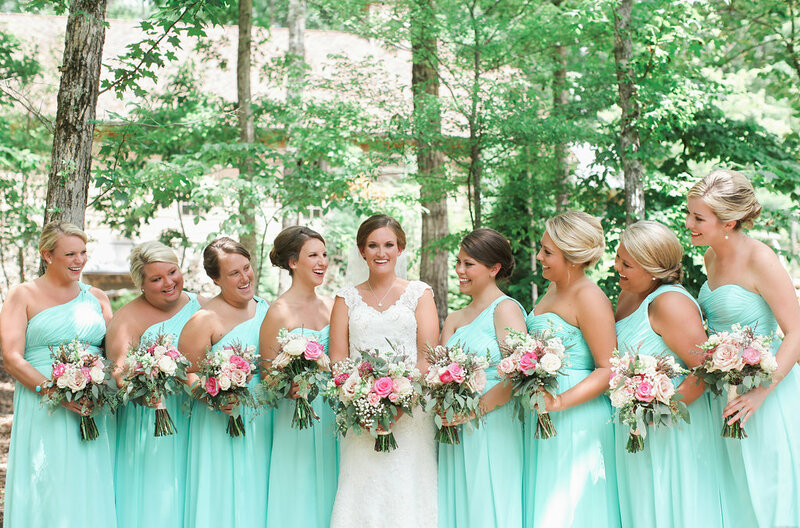 And with her bridesmaids wearing matching turquoise gowns, Kelly added another bright and fun color in a very classy way. 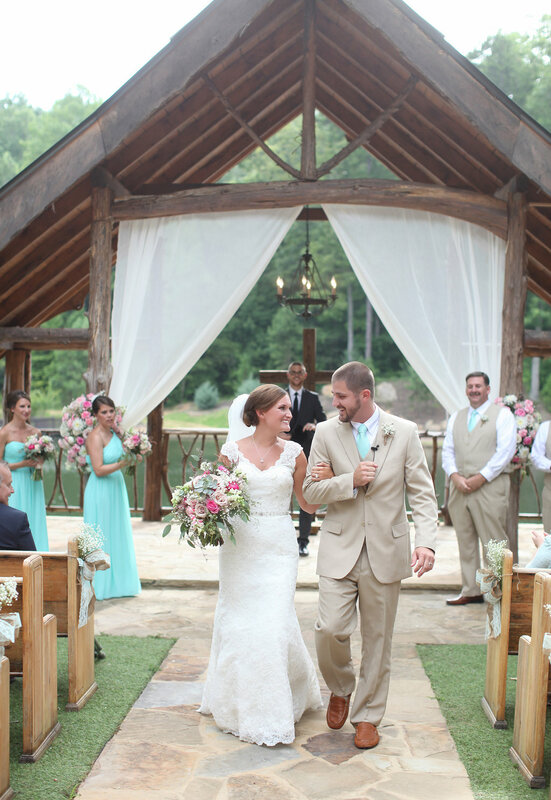 Kelly and Lewis' wedding has such a cozy and welcoming feel, we hope you enjoy it as much as we do! 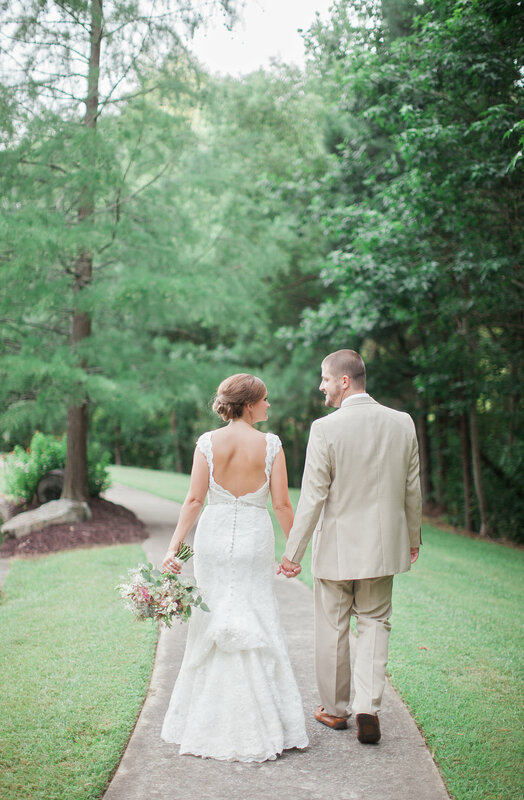 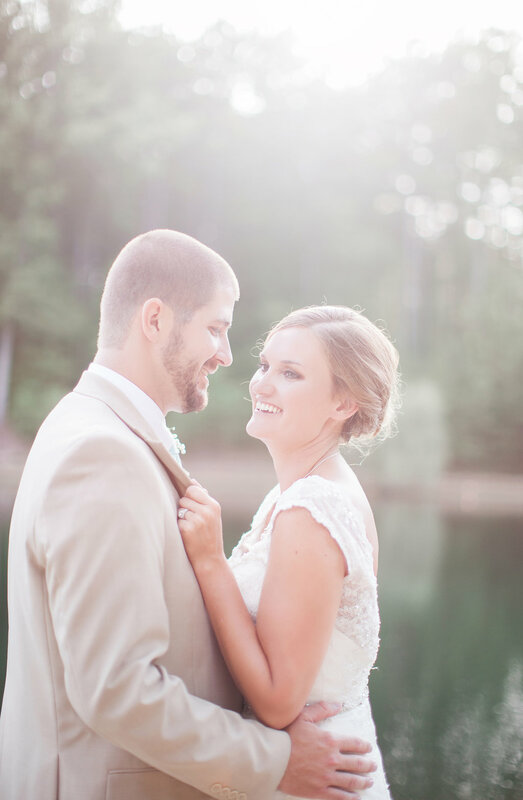 A big thanks to A.Thomas Photography for sharing this wedding with us today! 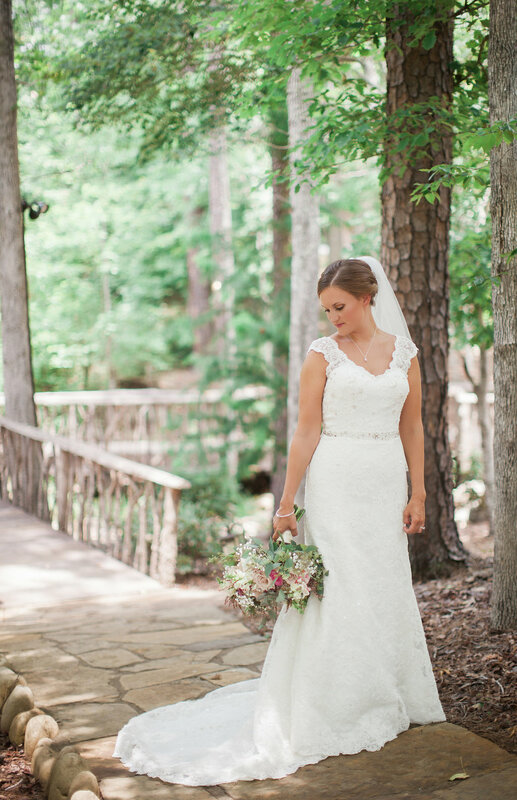 We have followed her on Instagram for quite a while and are so glad to be able to share her work on our beautiful new The Georgia Bride website!